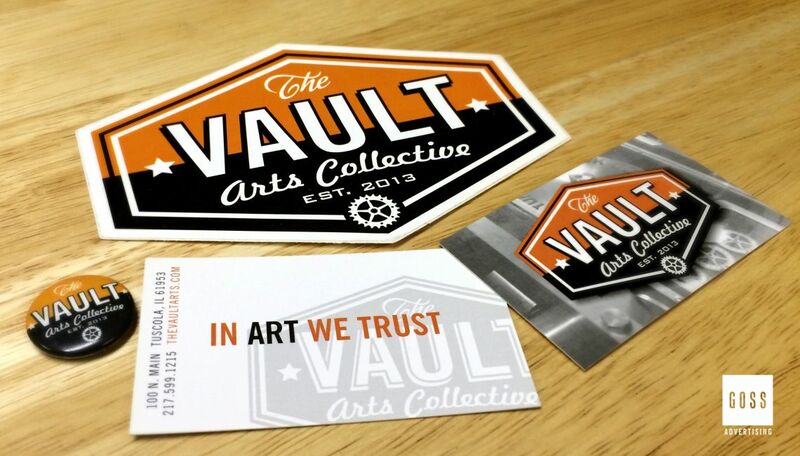 When the Factory Art Studios in Sullivan, IL needed a new home, its founder, John McDevitt, made it a mission to find a space to continue the momentum built from 4 years of successful promotion of art, artists and events. 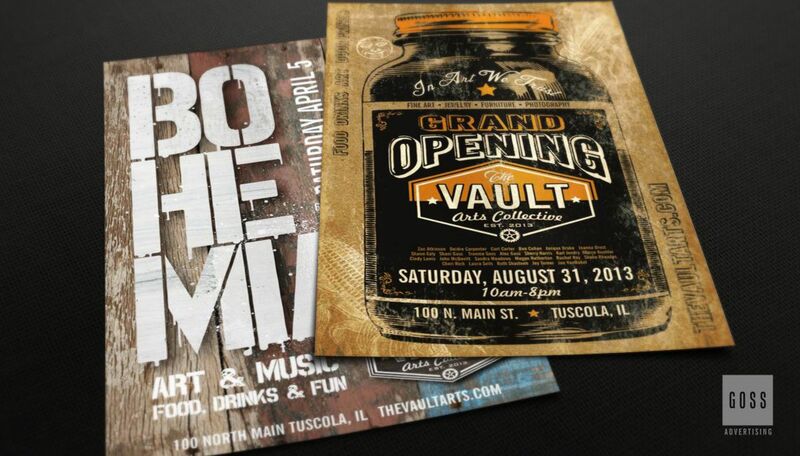 After a long search for a new location, the city of Tuscola, IL came through with a perfect building – an old bank with over 12,000 sq feet of space. 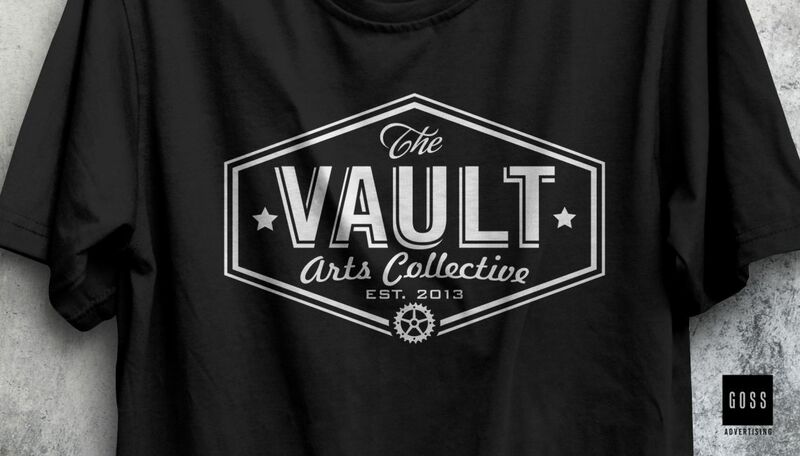 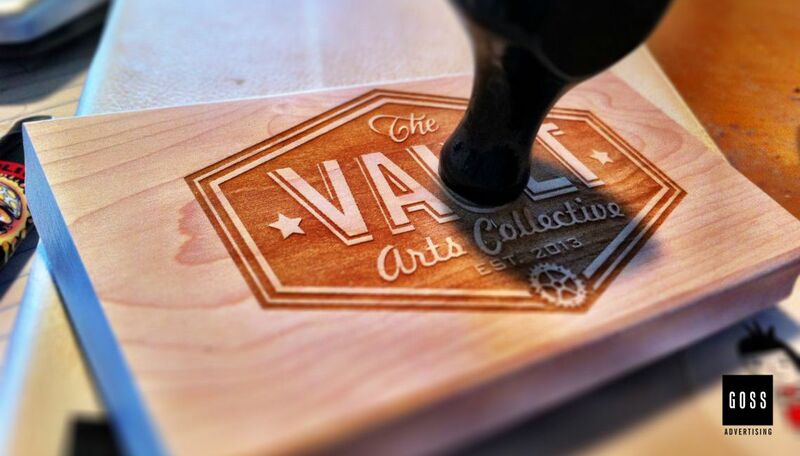 After a few months of renovation, the newly christened Vault Arts Collective opened as a gallery/studio space and host to events and exhibits in August of 2013. 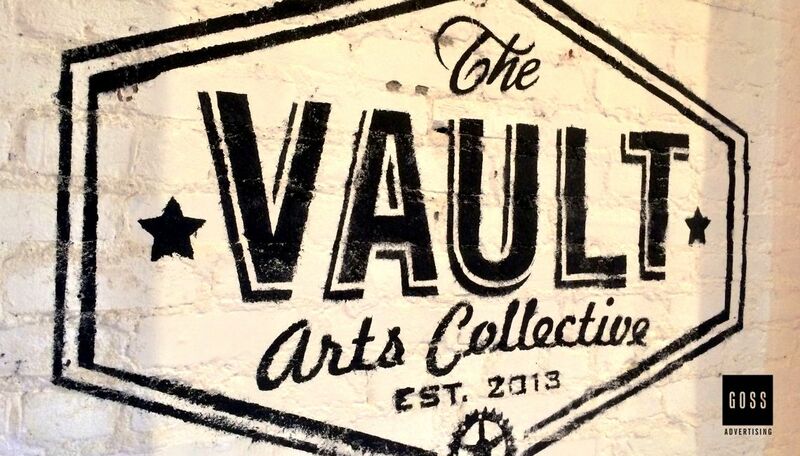 The Vault has grown to feature over 70 artists from all over Illinois, ranging from woodworking, ceramics and textiles, to painters, photographers, illustrators, sculptors and more. 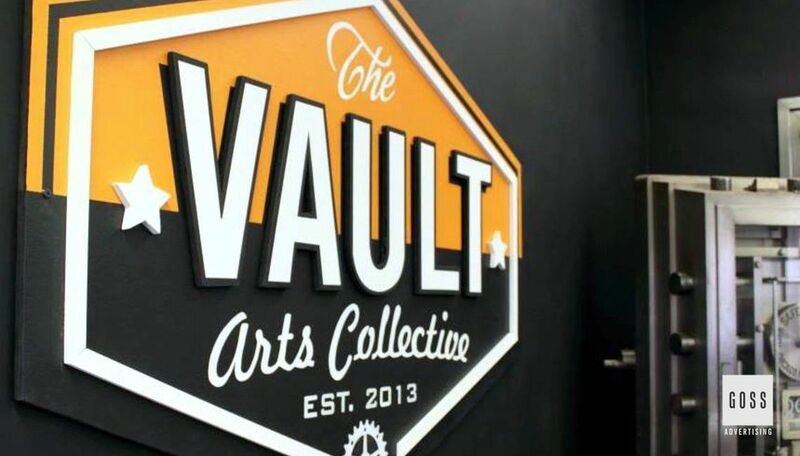 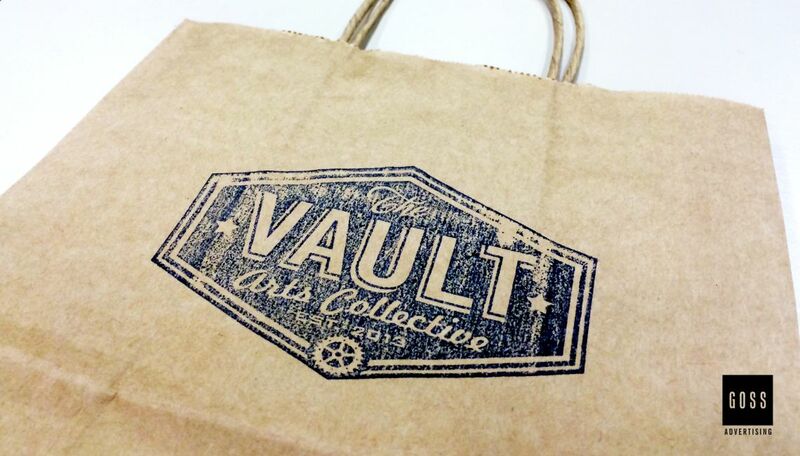 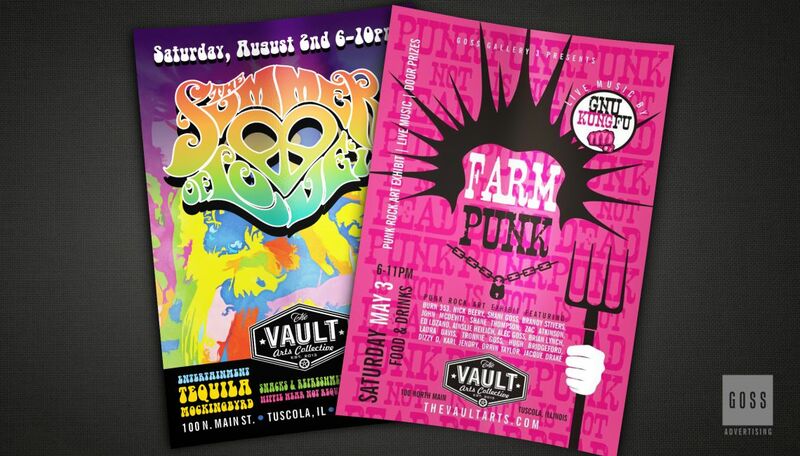 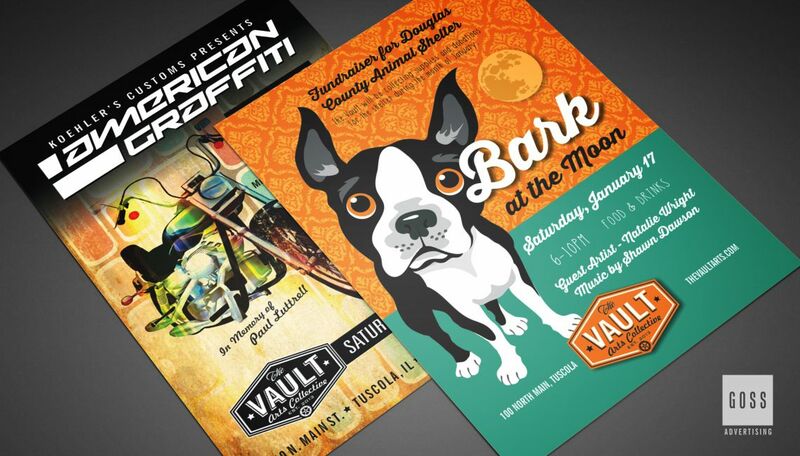 Goss Advertising helped with the creation of The Vault and its brand from the start; assisting with the name, creating a logo, fabricating interior signage, designing their website, event advertising, merchandise and social media.